The University of Arizona is the leading public research university in the American Southwest. 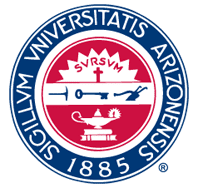 The UA produces more than $530 million in annual research and is the state's only member of the prestigious Association of American Universities. This is a diverse community of people who thrive on innovation and collaboration. Our world-class faculty create discoveries that improve the human condition and fuel the state's economy. Our research enterprise provides undergraduate students with opportunities for hands-on experiences that can be found in few universities in the world. As the state's land-grant university, our research and resources enrich communities around the state and around the world. The University of Arizona offers a wide variety of academic programs, many of which are among the nation's best. Students can choose from more than 150 undergraduate and more than 200 graduate degree programs offered through 18 colleges and 12 schools on three campuses. The University of Arizona was approved by the Arizona Territory's Thieving Thirteenth Legislature in 1885. The city of Tucson had hoped to receive the appropriation for the territory's mental hospital, which carried a $100,00 allocation instead of the $25,000 allotted to the territory's only university (the antecedent to Arizona State University was also chartered in 1885, but it was created as Arizona's normal school, and not a university). Tucson's contingent of legislators was delayed in reaching Prescott due to flooding on the Salt River and by the time they arrived back-room deals allocating the most desirable territorial institutions had already been made. Tucson was largely disappointed at receiving what was viewed as an inferior prize. With no parties willing to step forth and provide land for the new institution, the citizens of Tucson prepared to return the money to the Territorial Legislature until two gamblers and a saloon keeper decided to donate the land necessary to build the school. Classes met for the first time in 1891 with 32 students in Old Main, the first building constructed on campus, and still in use to this day. Engaged in teaching, research, and outreach in many fields within environment and natural resources; family, youth and community; human nutrition, food safety, health; marketing, trade and economics; animal systems; and plant systems. Accredited by the National Architectural Accrediting Board (NAAB) and the Landscape Architecture Accreditation Board (LAAB). Prepares students for careers as elementary and secondary school teachers, and non-teaching, entry-level human services positions in social services agencies, programs for the disabled, and group homes. Plays a pivotal role in providing the research, technology, and engineering expertise necessary for growth and diversity in the economy. Graduates of the college are the entrepreneurs developing high-tech companies, creating jobs, and improving our quality of life. Offers programs to prepare students for careers in the performing, visual and media arts. Opportunities range from performing and production to teaching, exhibition, administration and technology. Through the study of language, literature, and culture, programs in Humanities emphasize the importance of critical, creative, thinking and writing. Students prepare for careers in education, public service, international business and the foreign service. A nationally prominent law school with a rigorous academic program that prepares lawyers for leadership and service throughout the nation and world. While providing knowledge and skills basic to the practice of medicine, the College of Medicine inculcates students with fundamental attitudes of compassionate patient care and a spirit and desire for lifelong independent learning and scholarship. Prepares students for the nursing profession and graduate school. The UA College of Nursing is nationally accredited by the Commission on Collegiate Nursing Education, approved by the Arizona State Board of Nursing, and affiliated with the American Association of Colleges of Nursing and the Western Institute of Nursing. Our BS, MS, and PhD programs focus on providing students with a broad education in all areas of optics and on educating students with practical experience and competitive technical skills. Offers Pharm D,M.A. and PhD degrees. A member of the American Association of Colleges of Pharmacy and accredited by the American Council on Pharmaceutical Education. Conducts programs which span the biological, mathematical, and physical sciences. Emphases are on teaching a fundamental understanding of scientific knowledge, discovering new knowledge, and applying that knowledge to solving problems. Focuses on the understanding of human beings, the groups they form, and the societies and cultures they create. SBS provides research and a diverse interdisciplinary education for students. Delivers business and leadership education through undergraduate and graduate programs emphasizing innovation, integrity, and cutting-edge research balanced with experiential learning. Fosters an enduring spirit of inquiry and discovery by providing academic opportunities, such as Honors courses, research experiences, and intellectual dialogues, for artistically and academically talented students. Focuses on health promotion, prevention of disease, and public health education. Research programs involve health promotion in border communities, smoking prevention and cessation, women's health, substance abuse among youth and environmental hazards along the Arizona/Mexico border. UA South is located about 75 miles southeast of Tucson in Sierra Vista. UA South offers upper division programs to allow students from Arizona community colleges to complete a degree. Academic home for "undecided" or "exploratory" students at the UA. Providing academic advising services as well as help and resources for students exploring majors. Known for an interest in desert architecture and an emphasis on integrating environmental analysis into building design. Provides programs designed to prepare undergraduate and graduate students for professional careers in studio art, graphic design and illustration, art history, and art education. Prepares students for careers as performers, choreographers, movement specialists and teachers and develops scholarly foundations for specialized and advanced degree work. Provides opportunities to prepare for a meaningful career in the library and information professions in the 21st Century. A graduate professional degree program which emphasizes landscape and human ecology, socio-cultural and behavioral factors, landscape aesthetics, and artistic principles in a variety of design, planning, and management scenarios. Offers pre-professional and professional education at the undergraduate level with Bachelor of Arts programs in Aesthetics and Criticism, and Producing, and a Bachelor of Fine Arts program in Production. Offers a wide variety of degree programs and musical experiences, and presents over three hundred concerts and recitals each year. Prepares students for managerial and administrative positions in local, state or federal government agencies and nonprofit agencies. Provides undergraduate and graduate education in professional degree programs and liberal arts in such disciplines as Musical Theatre, Production (Acting, Design), Theatre Studies and Theatre Education. Provides instruction, research and extension/outreach in a range of disciplines related to the conservation and management of these renewable natural resources.